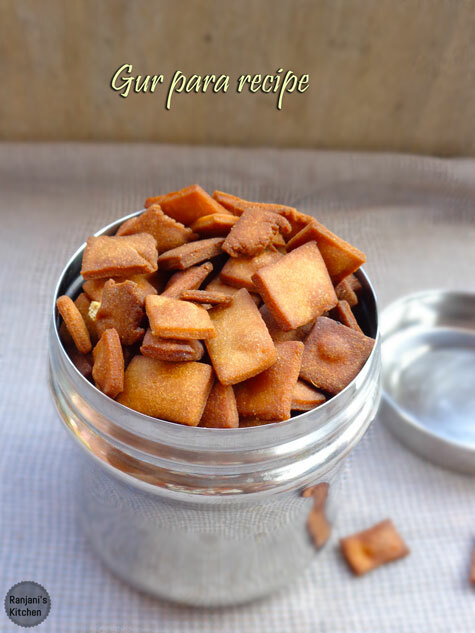 Gur para recipe – easy snacks recipe to munch with tea.Gur Pare is made with jaggery syrup and wheat flour and flavored with cardamom. 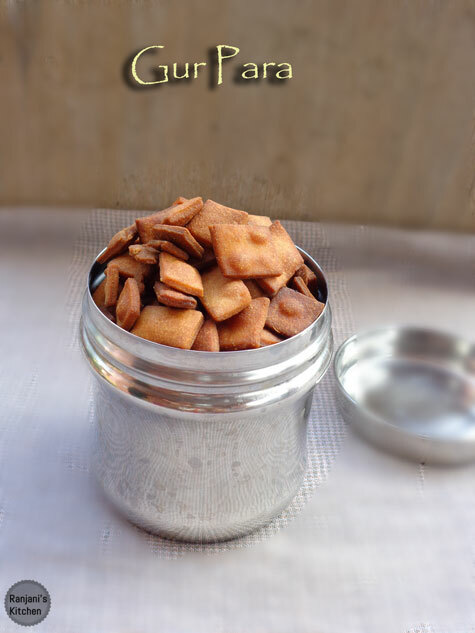 We can store this upto 2 months in airtight container. Here is how to make Gur Para recipe. 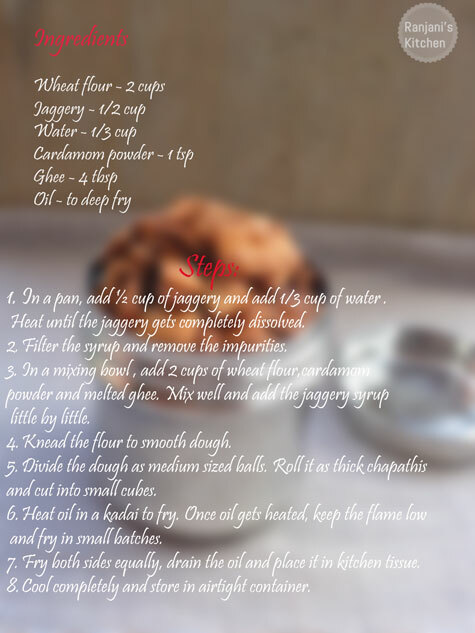 In a pan, add ½ cup of jaggery and add 1/3 cup of water . Heat until the jaggery gets completely dissolved. Filter the syrup and remove the impurities. In a mixing bowl , add 2 cups of wheat flour,cardamom powder and melted ghee. Mix well and add the jaggery syrup little by little. Knead the flour to smooth dough. Divide the dough as medium sized balls. Roll it as thick chapathis and cut into small cubes. Heat oil in a kadai to fry. Once oil gets heated, keep the flame low and fry in small batches. Fry both sides equally, drain the oil and place it in kitchen tissue. 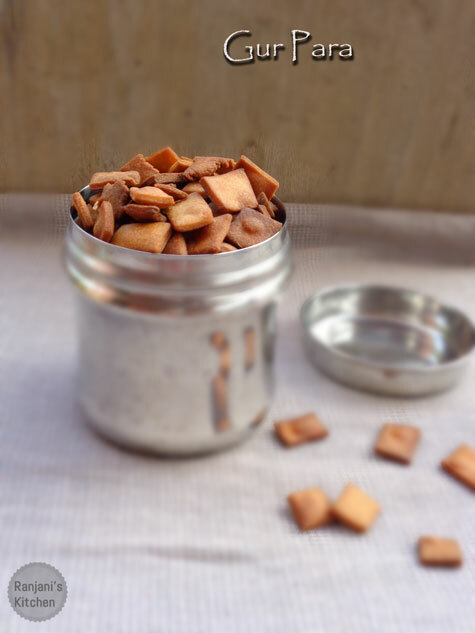 If the jaggery syrup is not enough to knead as soft dough, add plain water to make it. While frying, keep the flame low after the oil gets heated. Over heat will burn the Gur para’s.